Buddy's Line-Fashion Forward Cotton Mat. 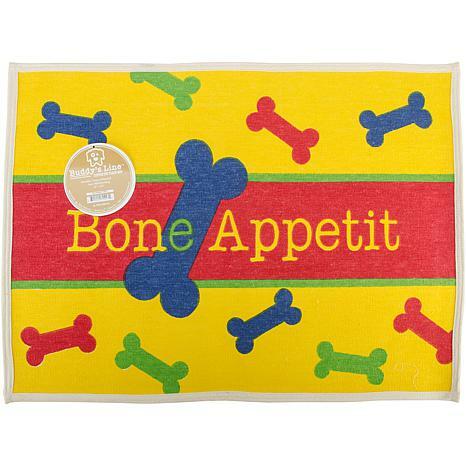 The perfect mat to hold your dog's water and food bowl or to keep near your doggy door! 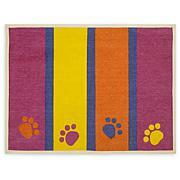 Has an anti-skid backing and is made with durable cotton material. This package contains one cotton mat approximately 19x25-3/4 inch. Comes in a variety of designs. Each sold separately. Imported. This mat is very colorful and lightweight. Absorbs drips and drops well. My dog approves of it too !